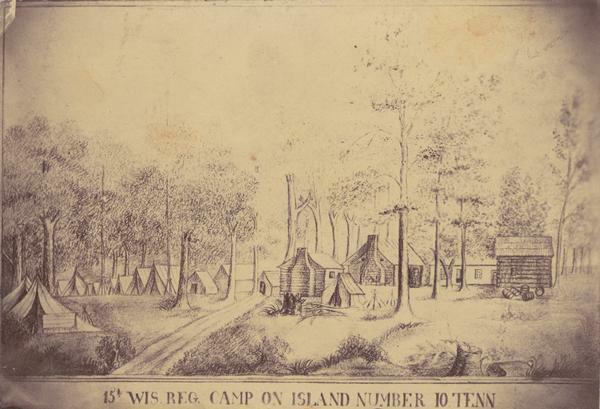 Sketch of the camp of the 15th Regiment of the Wisconsin Volunteer Infantry on Island No. 10 during the Civil War. Colonel Hans Christian Heg commanded the regiment at that time.